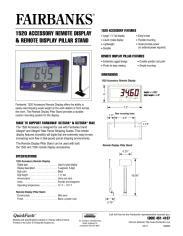 Fairbanks Scales' Ultegra Remote Display Stand was designed for use with the parcel shipping scale’s 1520 Remote Display. 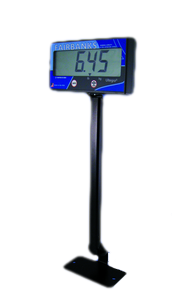 This 18" tall stand pivots for optimum viewing and will either sit on a desktop or it can be mounted on a bench. It has a rugged powder coat black finish.